Sivananda Yoga is a traditional form of Haṭha Yoga from Northern India, which includes two breathing exercises, 12 main postures and relaxation episodes. The sequence is always the same, on a calm and progressive rhythm. The regularity of the postures invites you to a greater control of these, as well as to a clear evolution of your practice. The attention is put on the breathing and the relaxation, in order to relax the psychic and the body, to go deeper in each posture and to enter meditation. This type of Yoga is for all levels. A Sivananda course lasts 1h30. Her passions for yoga and cooking have always guided Mary: yoga is what first awakened her the appetite for better nutrition. After living for 3 months in an ashram, his daily life completely changed! Apart from daily meditations and regular postures, healthy eating (vegetarian) is an aspect of yogic life she could discover. His interests in the philosophy of Yoga and the health of the body and mind encouraged him to pursue a bachelor’s degree in philosophy at the Université Libre de Bruxelles (2016). Marie has been teaching yoga since 2013 and continues to enrich her practice and knowledge through various learning experiences. She is currently training as a yoga teacher in Ashtanga Yoga, with Jean-Claude Garnier. This entry was posted in Practice of Yoga, The Teachers and tagged Ashtanga Yoga, breathing, Hatha Yoga, Jean Claude Garnier, meditation, North Yoga, nutrition, Philosophy, posture, relaxation, series, Sivananda, Swâmi on 18 February 2018 by Jean-Claude Garnier. Travelling in the North of India to spread the science of Yoga for the treatment of various ailments, Sri T. Krishnamacharya – thanks to the patronage of the Maharajah of Mysore (well known for his philanthropy and spiritual faith) – discovered by chance, in the 1930s, in the university Library of Calcutta, an ancient manuscript written on palm leaves and entitled “Yoga Korunta”. The author, a sage of ancient times, called himself “Vanama”. Composed between 500 and 1500 BC, the document was excellently preserved. Also a specialist in ancient Sanskrit, Sri T. Krishnamacharya understood from the turn of certain phrases that it was part of a much older oral tradition (between 3000 and 4000 years BC). Following this discovery, Sri T. Krishnamacharya, who taught a different method of yoga, altered his teaching for the third time. He asked Sri K. Pattabhi Jois to devote himself exclusively to this method of original Yoga, called Yoga Korunta, and to pass it on. From 1937 onwards, Pattabhi taught Yoga Korunta in Mysore, India. Only in the late 1960s, André Van Lysebeth, the first teacher of European yoga, spends three months to study Yoga in India with Pattabhi. André speaks of him and the quality of his training and popularizes him by publishing laudatory articles in the paper « YOGA » which he edits. Around 1973, Americans participate in the demonstration of yoga by Manju (Pattabhi’s son) in the ashram of Gitānanda (near Pondicherry). Thus Norman Allen became a pupil of Pattabhi or Guruji, as his disciples call him, later Nancy Gilgoff and David Williams came. Pattabhi chose to use the term “Ashtanga” for his school in reference to one of the six points of view of orthodox Indian philosophy, i.e. Yoga. The other points of view are: Nyāya, Vaisheshika, Sāṃkhya, Mîmâmsâ, Vedānta. The bible of Yoga, written by Patañjali, is “The Yoga Sūtra” (a kind of synthesis of all the preceding knowledge). In the second chapter of this book, at verse (YS II-29) the foundations of the practice of yoga are being explained, the definition of which is “aṣṭāṅga yoga”. 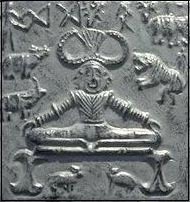 Thus, all the spiritual techniques referring to this book can be called aṣṭāṅga yoga. This way the name of “Yoga Korunta” was changed to “Ashtanga Yoga”. Actually, the institute of Pattabhi was called “Ashtanga Yoga Research Institute of Mysore”, which made the American students think that he taught a kind of Yoga called “Ashtanga Yoga”. In 1975, Nancy Gilgoff and David Williams invited Guruji and his son Manju, who thus set off on their first voyage to America in order to teach yoga. Manju stayed in the United States. This practice of Yoga spread rapidly throughout America from California, extending up to Hawaii, under the name of Ashtanga Yoga. In Europe, the first teachers to spread this method were called Jean-Pierre Radhu (Belgium), Gabriel Plessis (Paris, Rouen – 1972). With the permission of Guruji, Jean Bernard Rishi in Paris (France 1975) published leaflets on the sun salutations of Mysore and the standing postures (photos of Pattabhi in black and white). Having taught Ashtanga Yoga for several years, they all changed their methods of different reasons. Later, Jean Claude Garnier (France, Belgium – 1978) and Serge Fonteneau (France, Château Renauld) embraced the teachings of Pattabhi and have made it their business to disseminate them. Today, this traditional form of Yoga, mainly known under the name of Ashtanga Yoga, is one of the most practiced worldwide. Sharath Rangaswamy, the grandson of Sri K. Pattabhi Jois, teaches the Ashtanga Yoga he has learnt from his grandfather. 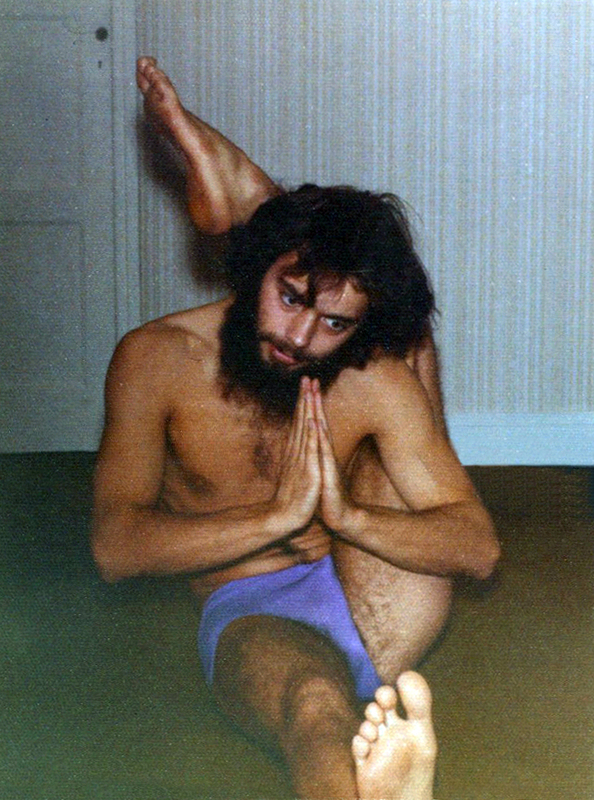 Ashtanga Yoga – John Scott (Le courrier du livre). This entry was posted in The Yoga and tagged André Van Lysebeth, Ashtanga Yoga, David Williams, deep breathing, Drishti, dynamic movements, Gabriel Plessis, Gitananda, Hatha Yoga, Jean Bernard Rishi, Jean Claude Garnier, Jean-Pierre Radhu, Krishnamacharya, liaison, look, Mîmâmsâ, Mūlabandha, Nancy Gilgoff, Norman Allen, Nyāya, Pattabhi Jois, plancher pelvien, postures, Rishi, Sāṃkhya, Serge Fonteneau, Sharath Rangaswamy, Vaisheshika, Vanama, Vedânta, Vinyasa, Yoga Korunta, Yoga Mala, » Manju on 26 December 2014 by Jean-Claude Garnier. Having started to study philosophy at ULB in 1988, my interest in Yoga came from my dissatisfaction having not found, in occidental questioning, answers related to my deeper aspirations and my need to create. They were always in disagreement with rational explanations. Specifically, after of five years of regular practice of Ashtanga Yoga, I have began to realize the immense task still awaitig me, but also already this deep joy that I am ready to share with you. This entry was posted in The Teachers and tagged Ashtanga Yoga, Belgium, Brussels, ceramics, Hatha Yoga, Iyengar yoga, Jean Claude Garnier, Philosophy, plastic arts, teacher training, Yoga, Yoga intégrale on 25 December 2014 by Jean-Claude Garnier. Sri T. Krishnamacharya, one of the greatest masters of yoga, the light of his knowledge has profoundly influenced the whole world. He has never left anyone indifferent. In the course of a life that would easily fill several ordinary lives, he had many extraordinary encounters. A descendant of the great priests serving at the temple of the Lord of the Seven Hills, who in turn were descendants of Nâthamuni, Sri Venkateshvara of Tirumalai, this teacher had been promised an exceptional destiny at his birth. Nothing commonplace could happen to him. 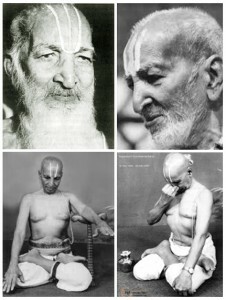 Sri Tirumalai Krishnamacharya was born on 18 November 1888, the eldest of six children (four boys and two girls). His father, Sri Tirumalai Srinivasa Thathacharya, a great religious master teaching the knowledge of the holy books (the Vedas), takes charge of the child’s education with his wife Shrimati Ranganayakamma. The young Krishnamacharya is gifted with great physical force, coupled with extraordinary temperament and intelligence. He also suffused with an intense ardour to know and… to know how. Still an adolescent, Krishnamacharya sets off to discover his country, its sages, its scholars, its artists and its mystics. An incredible journey is the life of this young man who will by and by discover, then master, the most varied disciplines, from close-quarters combat to astrology to Vedic rituals. A well of sciences, fluent in seven languages, an eminent pundit, he will successively explore each of the classical viewpoints of Indian philosophical thought, obtaining the highest distinctions in the most celebrated traditional schools. 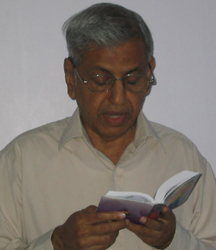 When he left for Benares for the first time, around the age of 18, he was fortunate to be instructed in certain secrets of Sanskrit grammar in the course of a single night by a sort of genius, Shivakumar Shâstri. 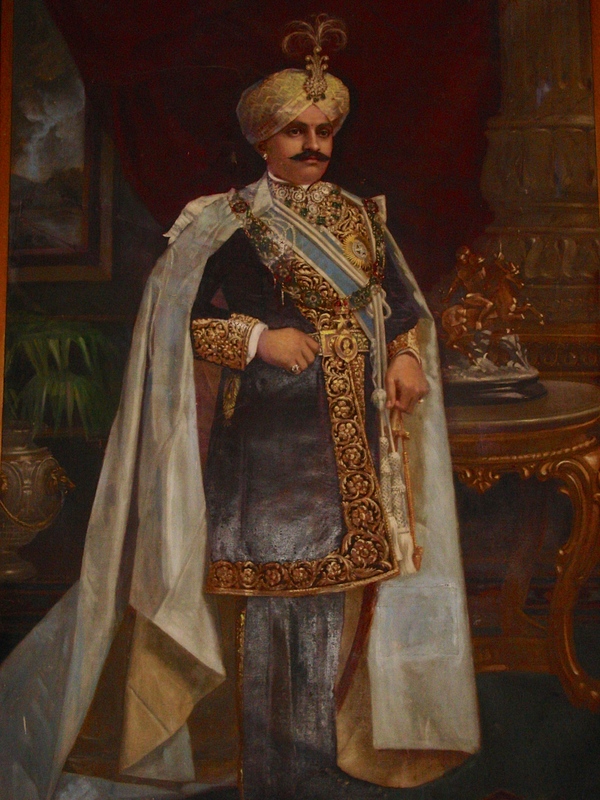 Back in Mysore, he received an exhaustive three-year education in the philosophy of Vedânta by the director of Parakala Mutt, Brahmatantra Sri Krishna Brahmatantra Swâmi. Once again back to Benares, he found there a deeply enlightened tutor, Sri Vamacarana Bhattâchârya who, while teaching him philosophy, alsohelped him for years giving him advice on how to live his life. As advised by his tutor at the University of Patna, he then set off on foot for the Himalayas. By difficult paths and rope bridges over spanning torrents, he arrived at the foot of Kailash, the mythical mountain considered to be the abode of Shiva and the axis of the universe, and at the holy lake of Mânasarovar. He learns and practices intensively all the different aspects of yoga. Thus, in the second phase of his life, he will become one of the greatest (Maha) yogi (âcharya) of his time. 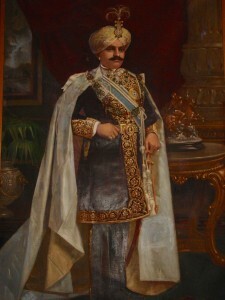 In 1924, he is invited by the maharajah of Mysore who viened yoga as a help in treating his numerous physical ailments. He opened a yoga school in his palace in 1955. He is already in his forties when he established himself in Mysore, in the South of India, there he marries the very young Srimati Namaginammal. She will give him six children, three boys and three girls. When he established himself in Madras in the fifties, he once again had the opportunity to treat two men in very senior positions. Both suffered from paralysis: an eminent lawyer Sri T.R. Venkatarâma Shâstrî and Sir Alladi Krishnaswâmi Iyer, the celebrated jurist who had participated in the drafting of the Indian constitution. Both, causing him stay Madras, added themselves to the long list of crucial encounters that influenced the course of his life. 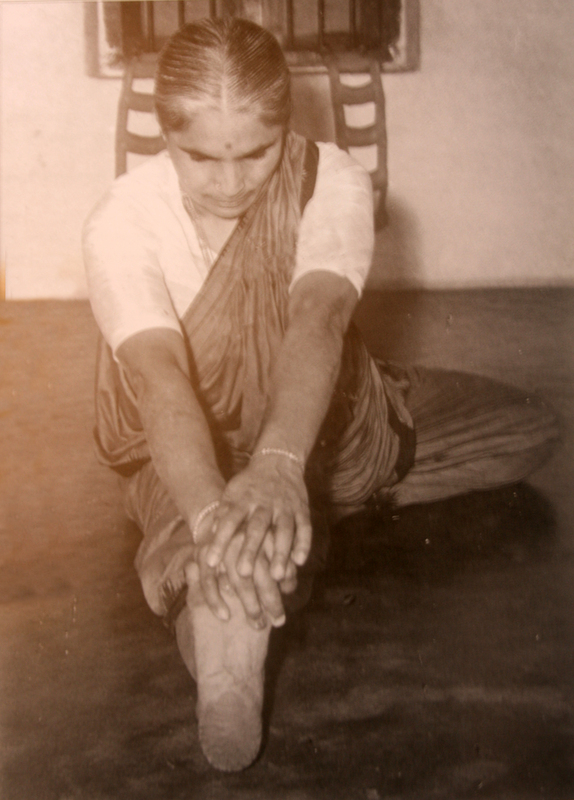 (Extract of N° 24 of Viniyoga, dedicated to the 100th anniversary of Sri T. Krishnamacharya). 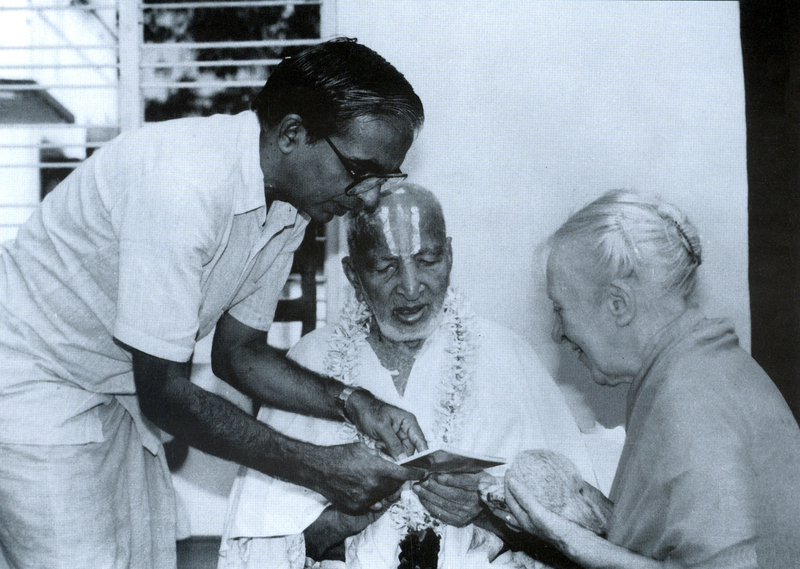 It was not until 1965 that T. Krishnamacharya wrote the verses of Yoga Rahaysa down on paper. 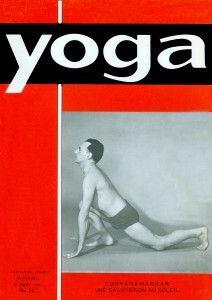 It contains the main ideas of the teachings of Krishnamacharya on techniques such as āsana and Prāṇāyāma. Two of their sons also became yoga instructors. The elder one, T.K.V. Deskachar, lives in Madras, and manages an important yoga therapy centre – the Krisnamacharya Yoga Mandiram – officially recognized by the Health Ministry of Tamil Nadu. Sri Bhashyam, his pupil, lives in Nice (France). He has married a Frenchwoman and teaches yoga mainly in France and Switzerland – Yogakshemam, a school teaching traditional Indian philosophy – Ayurveda and Yoga. 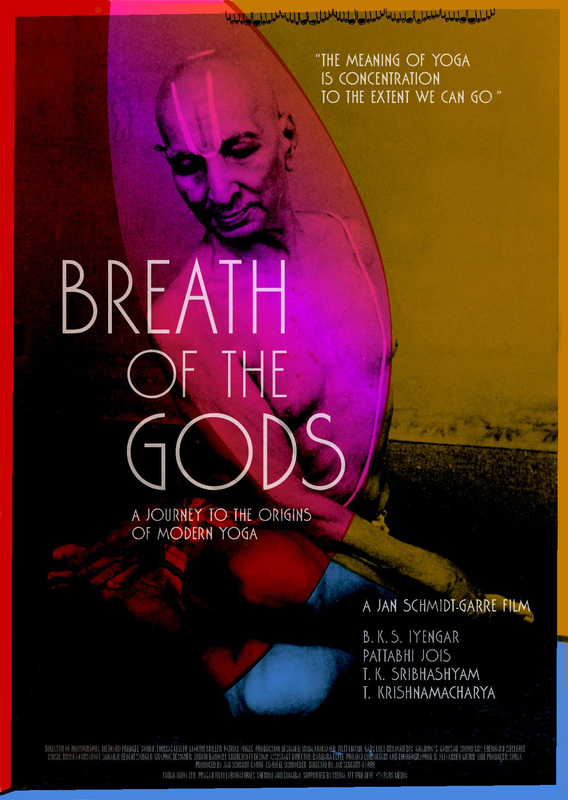 Compared to the occident, the dissemination of the teachings of T. Krishnamacharya incurred a strange fate. Mainly due to the engagement of his two sons and their pupils, it is firmly rooted in French speaking countries (France, Switzerland & Quebec). In Anglo-Saxon countries, this teaching is better known through the interpretation provided by his brother-in-law and pupil, B.K.S. Iyengar with his worldwide reputation – as well as that of Sri K. Pattabhi Jois, also known worldwide. In accordance with tradition, he never left his native India in his life. Nevertheless, the light of his knowledge of yoga has profoundly influenced the whole world. 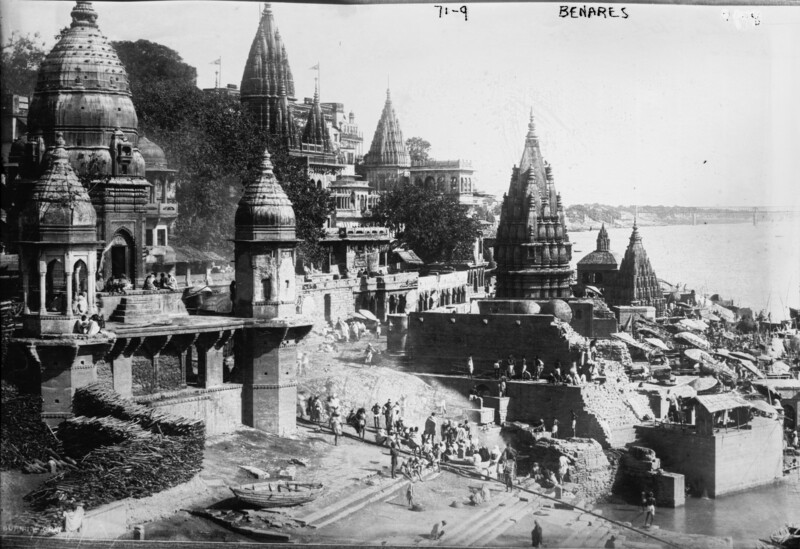 This entry was posted in The Yoga and tagged Ashtanga Yoga, Benares, Bhattâchârya, Brahmatantra, Chennai, Desikachar, Himalaya, holy lake, Iyengar, Jean Claude Garnier, Kailash, Krishna, Krishnamarcharya, Madras, Mânasarovar, Mysore, Nâthamuni, Parakala Mutt, Patna, Pattabhi Jois, Pondicherry, Ranganayakamma, Shiva, Shrimati, Srinivasa, Swâmi, Thathacharya, Tirumalai, Vamacarana, Varanasi, Vedânta, Venkateshvara on 23 December 2014 by Jean-Claude Garnier. 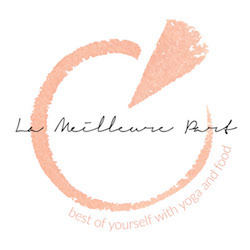 The Ashtanga Yoga Institute in Brussels perpetuates the teachings of Sri K. Pattabhi Jois. 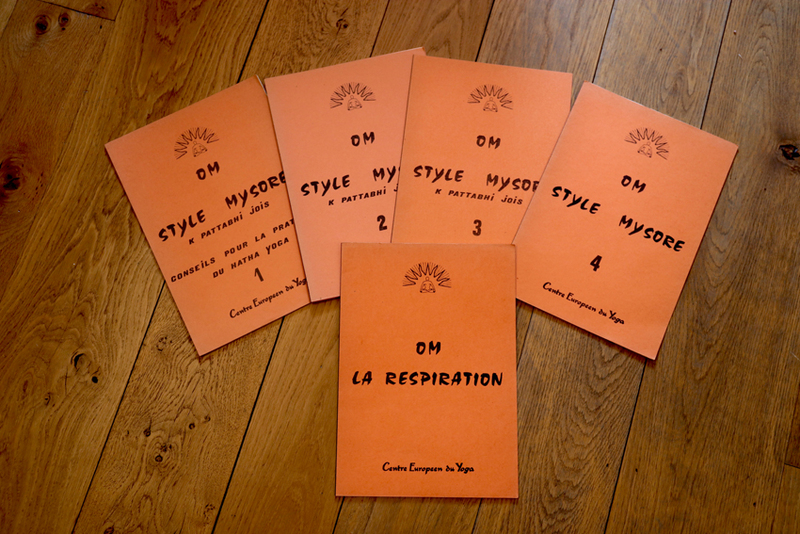 Since 1973, Jean Claude Garnier trains students, in Europe and Asia, to deepen their knowledge about Yoga. Some of the students will find a calling and become a Yoga Professor and in turn, transmit the art of Yoga. The Institute is open to different currents of Yoga. 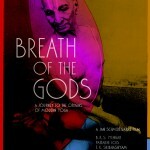 Jean Claude Garnier pursues the transmission of Ashtanga Yoga as taught by Krishnamacharya and his disciples B.K.S. Iyengar, and Sri K. Pattabhi Jois. Training and recycling as a Yoga professor, who is concerned ? How does the training with personal monitoring take place ? You will be supervised as of your first class, in order to answer your questions. The Yoga teacher training consists of a set of modules. At the end of each module there is a practical and theoretical evaluation. Once you have successfully passed a module, you can move on to the next one. You need to complete a minimum of 5 modules (A, B, C, D, E, F) and write a thesis which summarizes your studies and research on one of the aspects of Yoga. Postural foundations, supports, reviewing and improvement of postures and their variations; breathing techniques in postures (pranayama); development of concentration, letting go, individual work and group work, workshops, first trials of teaching. Invocations (prayer at the beginning of the class): explanation, its significance and its meaning. The life, work and education of Sivananda, Sri Ramakrishna, Swami Ramdas, Yogi Ram Surat Kumar, Sri Yukheswar, Alain Danielou, Krishnamurti. Have a general level of education or equivalent vocational training at high-school level. This entry was posted in Courses and tagged Andros islands, Ashtanga Yoga, Athens, Belgium, Brussels, diploma, Greece, India, Iyengar, Jean Claude Garnier, Krishnamacharya, Mahābalipuram, Mamalapuram, Pattabhi Jois, Prāṇāyāma, professor, recycling, Sādhanā, teacher training, Training, Yoga on 20 November 2014 by Jean-Claude Garnier.